– All non-wetted structural members to be A-36 ASTM Carbon Steel. – Settling Plate Packs: 18 gauge polished(3B finish) 304L Stainless Steel. 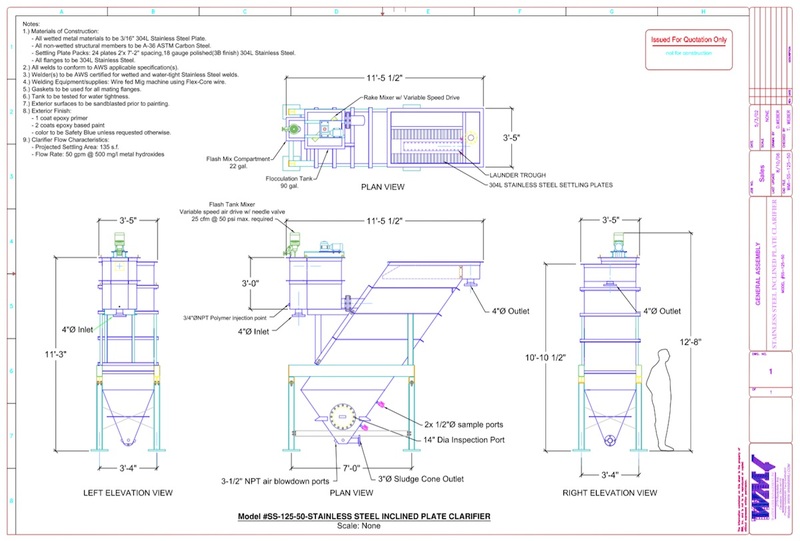 – All flanges to be 304L Stainless Steel. 3.) Welder(s) to be AWS certified for wetted and water-tight Stainless Steel welds. 6.) Tank to be tested for water tightness. – Projected Settling Area: 135 s.f.